Jingle bells, mistletoes, second helpings of guilt -free pudding, heavily salted family braai’s and feasts, sweet and salty snacks between meals, the traditional heavily dressed potato salad, the type of thirst that can only be quenched by scintillating, readily available carbonated drinks with added sugar and ungodly amounts of alcohol, are the reality and joy of celebrating the holiday season. The other reality is that a couple of days later your body will have collectively converted and stored your holiday into body fat and this is where people like myself will come in. It’s the beginning of the year and you are already anticipating how much weight you put on over the festive season, so what do you do? You pick up a magazine, ask a friend and like most of us go on to the internet to find a “pain-free diet”. As luck would have it you find, The Blood Group diet, The DASH diet, The Paleo diet and my personal favourite, The “eat-as much as you like” diet, along with a dozen others. With enthusiasm you try one or a couple and before you know it you’re 5 weeks in and have already given up because is it either not working fast enough or you have put on more weight. Diets are not unsuccessful because they are just gimmicks falsely sold to consumers, at least not all of them, they fail because the consumer does not have enough decoded nutritional information on how to plan their own basic everyday diet, therefore choose what will work and what will not, and another reason is that the word “diet ” has been sold differently to them. The words “Diet” and “Slimming” are used interchangeably and most of the time incorrectly by the consumer.There are different definitions to the word Diet and the simplest would be that: it is the kinds of food that a person, community or animals habitually eat; and Slimming on the other hand is the act of choosing a “diet” that will facilitate weight-loss. “Slimming” as opposed to “On a diet” because one can be on different kinds of eating plans; it could be to gain weight or for health and other medical reasons. The plan is to dispel the thought that being on a diet automatically suggests weight-loss. Ensures that the diet provides sufficient energy and enough of all the nutrients healthy people need. A meal is considered balanced when each type of food is present; not too much, is present in a meal plan. Energy from food should be equivalent to energy being used by the body to sustain metabolic and physical activities. This is essentially important for those consumers that go on a diet to lose weight and do it in conjunction with physical exercise. Eat well without over eating and select foods that deliver the most nutrients for the least amount of food energy. Fat, sweets and oil provide energy but have very little nutrition. A person eating in moderation eats fats and sugars on occasion and regularly select foods low in solid fats and added sugars. The to key most successful weight-loss diets is cut down on portions and certain foods. Different foods in the same food group contain different arrays of nutrients, therefore variety improves nutrient adequacy. Weight-loss diets that cut out particular foods of a particular nutrient pose the risk of the consumer neglecting nutrient needs. 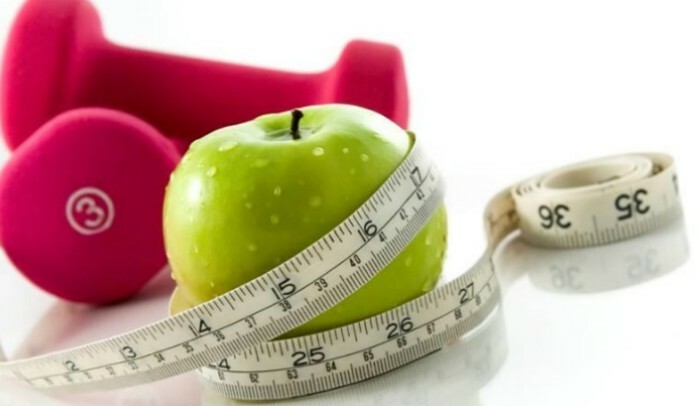 All of the aforementioned principles are a guideline of how the consumer can go about putting together a diet at home, healthcare facility, a restaurant or in this case; choosing a weight-loss diet. Establish how much you’re actually eating. Identify your weight problem by eliminating such foods. Once you have lost weight stick to your portions. Remember slimming is the reduction of the total food intake without neglecting your health.